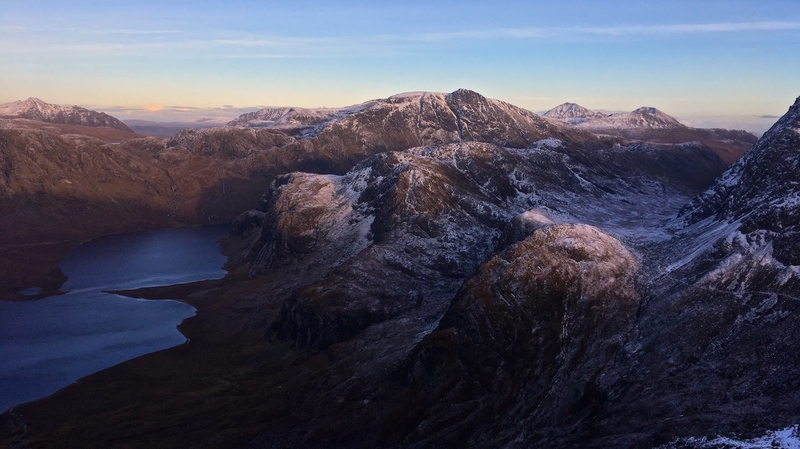 King Mountaineering is operated by John King and offers year round guided hillwalking, skills training and climbing instruction across the Scottish Highlands and Islands. John is an experienced mountaineer, Summer and Winter Mountain Leader (ML) and Rock Climbing Instructor who has been hillwalking, scrambling and climbing throughout the mountains of the UK his whole life. Growing up in and around Glasgow, John first developed his love of the outdoors in the Scottish Highlands. Taking every opportunity to get out into the hills he has explored many of the wilder and remote corners of the Highlands, in all seasons, and has built up an intimate knowledge of the Scottish hills and glens as well as a keen interest in the ecology, geology and history of the natural environment. He completed the Munros in 2013 (and is currently well on his way to a second round), has visited many Corbetts and Grahams, and in recent years has also explored many of the UK’s other significant peaks. John also enjoys getting his hands on rock and has completed many of the UK’s classic scrambles and is a keen rock climber. John is passionate about passing on his knowledge and skills, and sharing his enthusiasm for the hills with others. This led him to qualify as a Summer ML in May 2014. Since then he has gained both the Rock Climbing Instructor and Winter Mountain Leader awards. He also holds a current outdoor emergency first aid certificate and is a full member of the Mountain Training Association. Having moved to the Scottish Highlands to set up King Mountaineering, John is excited to enable others to enjoy the spectacular mountains and vast open spaces that the Scottish landscape has in abundance. King Mountaineering aims to help each of our clients enjoy the hills safely and make the most out of their trips. This website is designed to give you a taste of what is on offer in terms of guided hillwalking and various skills courses. In addition to bespoke guiding tailored to your specific aims and objectives, we also have a range of planned trips detailed on the upcoming events page. If you’re planning a walking trip in the Highlands get in touch and we can discuss an itinerary to suit what you would like to do in the hills.